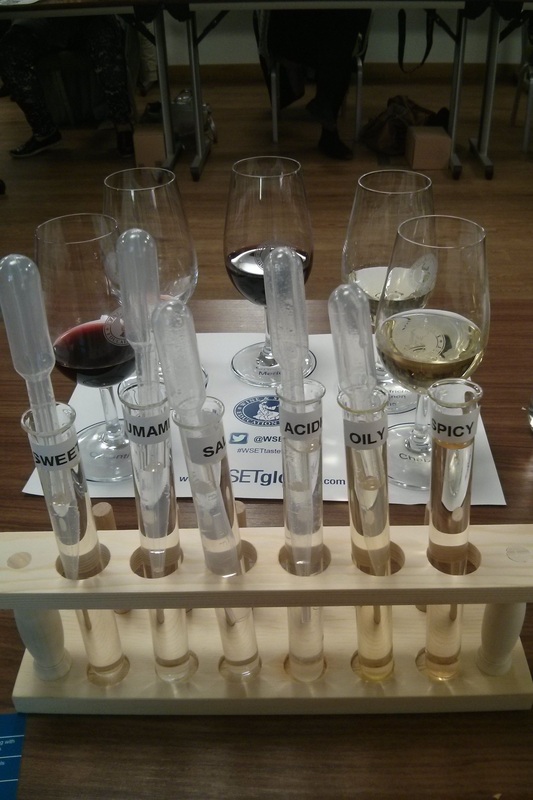 I don’t usually drink dozens of glasses of wine on a Tuesday night, but this week I was invited to the Wine & Spirit Education Trust to do an educational wine tasting. I’ve been to my fair share of wine tours in South Africa, Napa, the Okanangan in British Columbia, Niagara in Ontario, Santorini, and Bordeaux (I like wine holidays OK?) and most are the same. You go, get a quick intro of the wine and a few tasters that go down great. 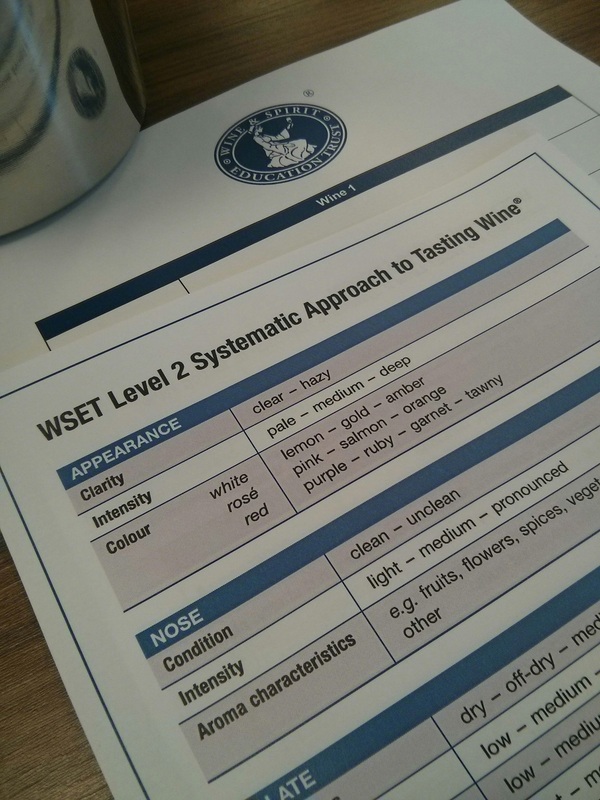 At WSET they try to make the tasting more educational and even offer qualifications for those who wish to add to their CV. 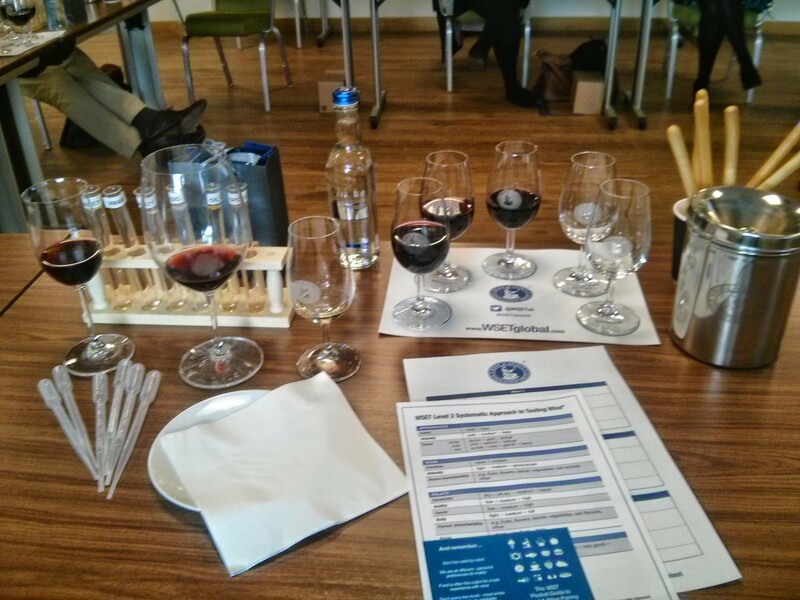 We got right down to tasting different wines and learning that almost everything about a wine is subject to the taster. Especially taste. We even tried the same wine at different temperatures and the taste was so different you can see why people get confused about what wine they like. Jim, our instructor, even said that most wines will taste different in pizzerias as they have the wine sitting in the same room as the hot pizza oven. We then moved to how wine pairs with food, which everyone seems to have an opinion with. Using our semi-scientific test tubes we had a sip of wine, then filled our mouth with some of the “taste” and then tried the wine again. Like temperature what flavour was in our mouth had a huge effect on the taste and texutre of the wine. One of the most interesting things we did was a bitter test where we all chewed on a piece of paper and had to say when we tasted a disgusting taste. About half the room put up their hands immediately and one girl even spat it out the taste was so bad, myself and another guy kept chewing as it only tasted like paper to us. Apparently we don’t have many bitter tastebuds so aren’t as sensitive to tannins and such in wines. Super interesting stuff. We also learned that the British public are basically the only people in the world who drink wine without food. 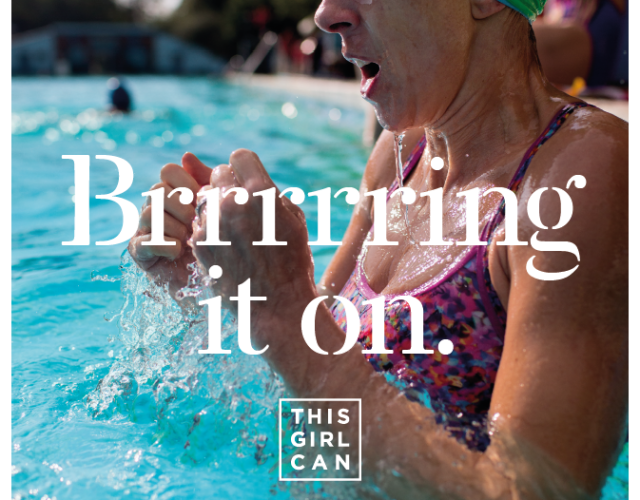 The idea of ordering wine at a pub just to drink, or sitting on the sofa with a glass of wine & Love Island on the tele… doesn’t happen anywhere else. For that reason a lot of wines are made just for the British market to taste good without food. Wines like a Barolo almost need a salty accompaniment (get those olives & parma ham out!) and thus they don’t sell as well here. Merlot, on the other hand, is very drinkable alone and in Chile they actually make it just to export to Britain. No one drinks it there! After a lot of wine (and more breadsticks – this runner was hungry) we called it a night and were given a bottle of wine to take home with some fun WSET wine accessories. It was a very interesting night with a fun group of people spent drinking wine. 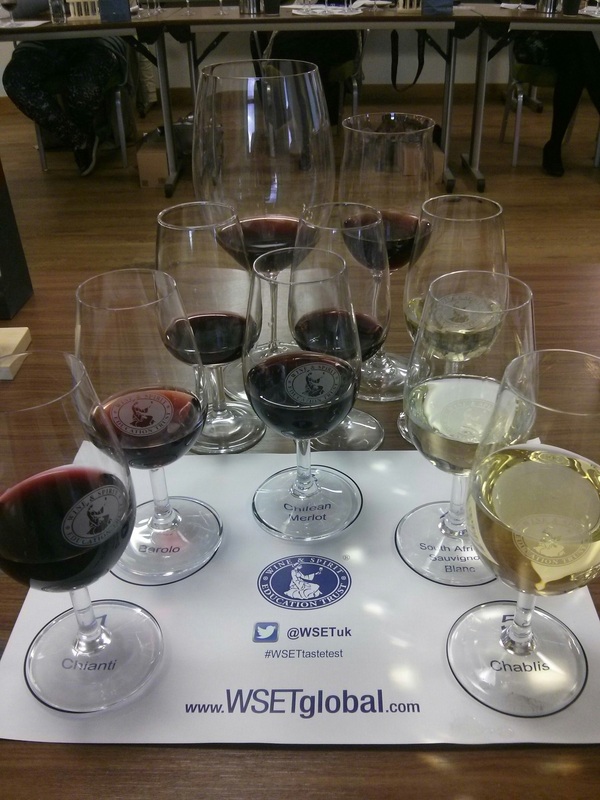 I was invited to WSET to experience an evening of wine tasting and asked to write blog post about the event. 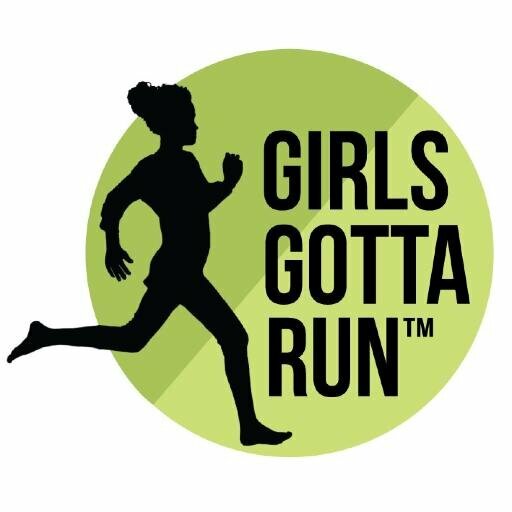 This entry was posted in food, london, opinion, product review, Sponsored on June 25, 2015 by lauraestewart. I learnt so much reading this! Thanks for posting. A friend of mine told me this week that he had recently been invited to a water tasting, to explore the subtle differences between bottled mineral water products. Do you agree with me that this is going a little too far?